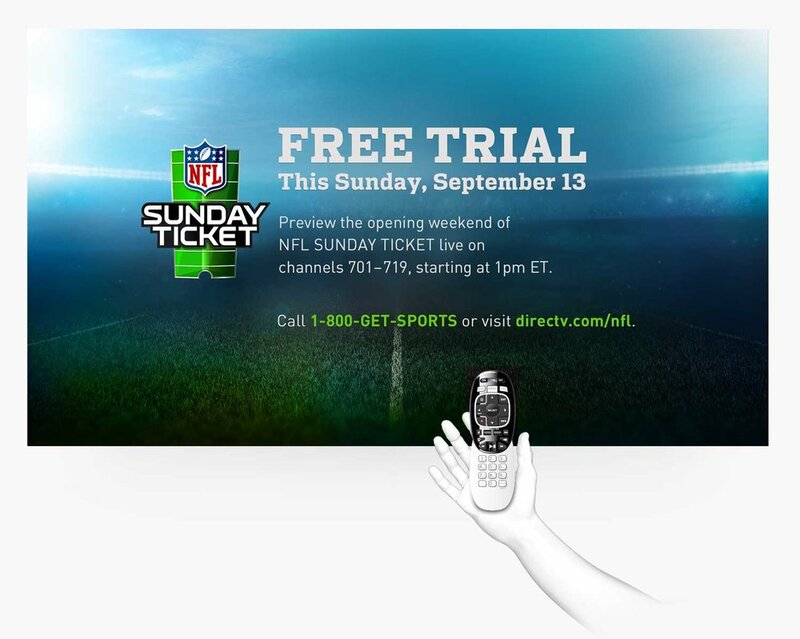 I've led concepts, visual + production design, broadcast graphics, and talented teams to tackle marketing initiatives. The previous page design inherited a dated template and lacked luster, consistency, and an actionable promotional feel; the marketing language also fell flat, and value-adds of the network were missing; lastly, it was designed for desktop only. 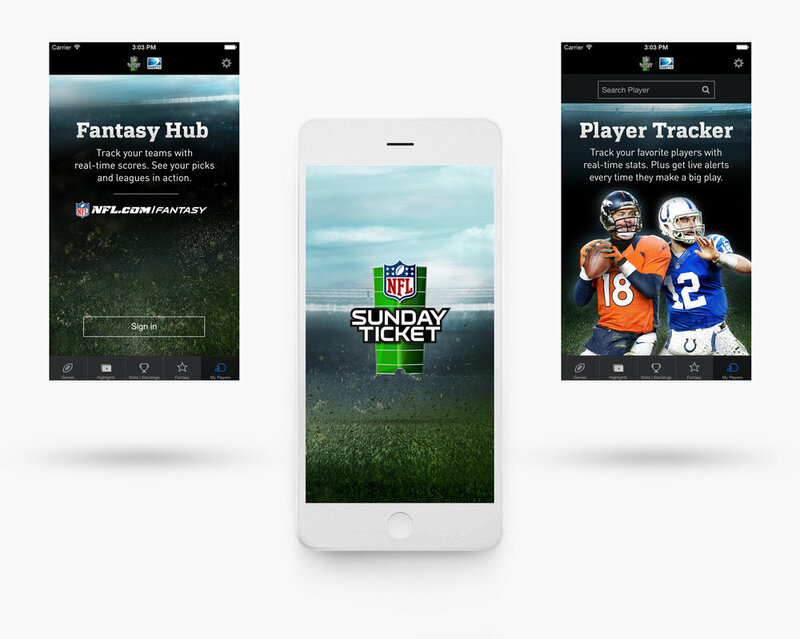 The production design team needed a tight templated system for banners and page updates in order to streamline workflow and work more efficiently. I worked with a content strategist, an art director & designer, and a copywriter to restructure / optimize the landing page so that it felt more promotional and update the overall aesthetic. The copy was edited to be more concise; the CTA was made clearer and positioned above the fold. I led on design for the initial creative, and presented a number of options to update the overall aesthetic of the design system for the landing pages, ad banners, and social media tactics. 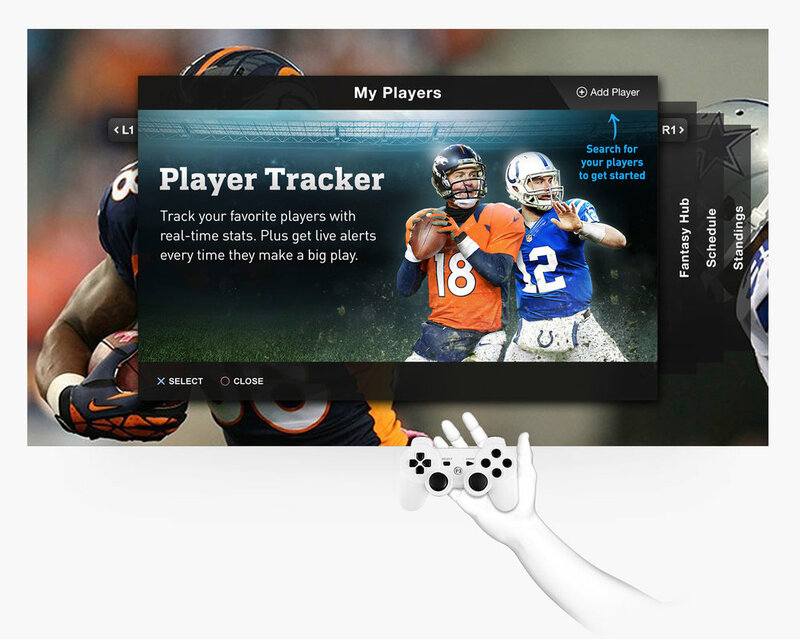 What was approved helped the design and production teams refresh similar pages more efficiently. 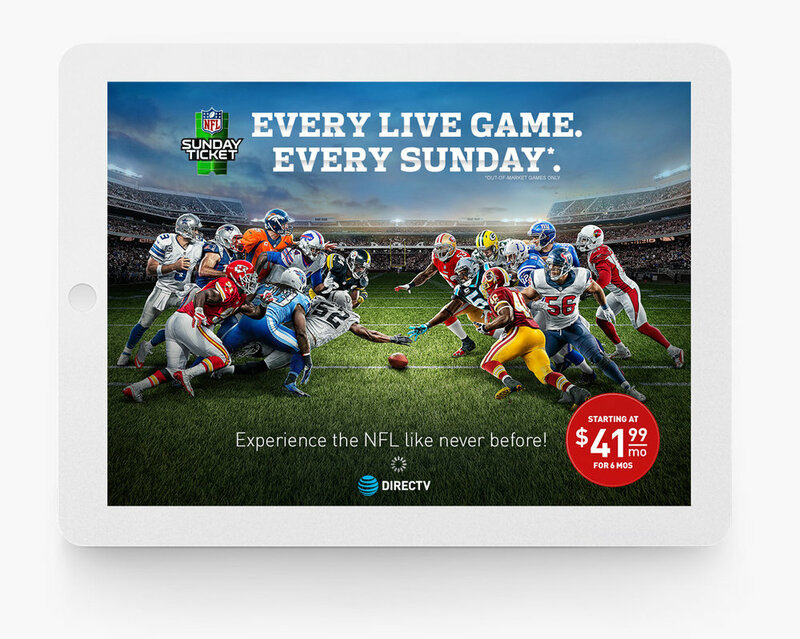 Create compelling NFL Sunday Ticket upgrade message / promotion graphics to engage a broad audience of casual and football fans. Playing off the hugely successful Andrew Luck Beard commercials for NFL ST, I created a witty graphic with the QB and his alter-ego, using imagery from the photoshoot, the national ad campaign, and a sharpie to help carry the idea and messaging even further. 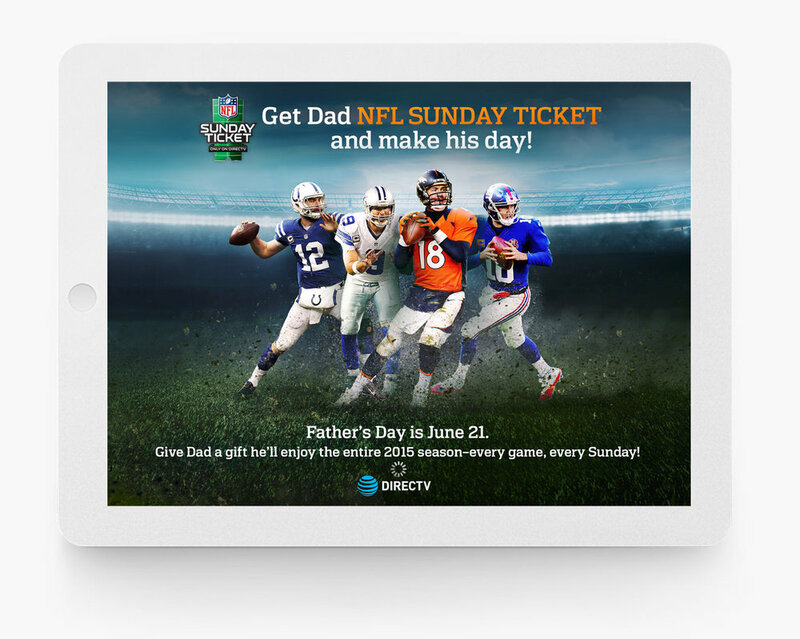 DIRECTV sought to capitalize on Father’s Day to promote NFL Sunday Ticket through a creative, outside-of-the-box digital execution. This project didn't extend beyond a proof of concept, but it was indeed entertaining to explore playful typography, textures, illustrations, and imaging effects. 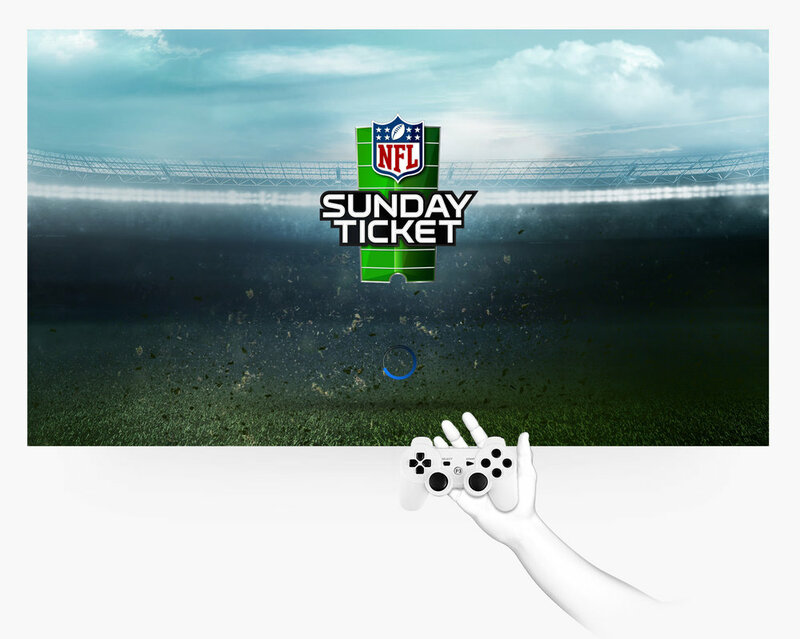 Rich communication graphics leveraging elements from DIRECTV's national campaign and NFL player shots were created for potential and existing NFL ST customers across multiple user experience platforms. 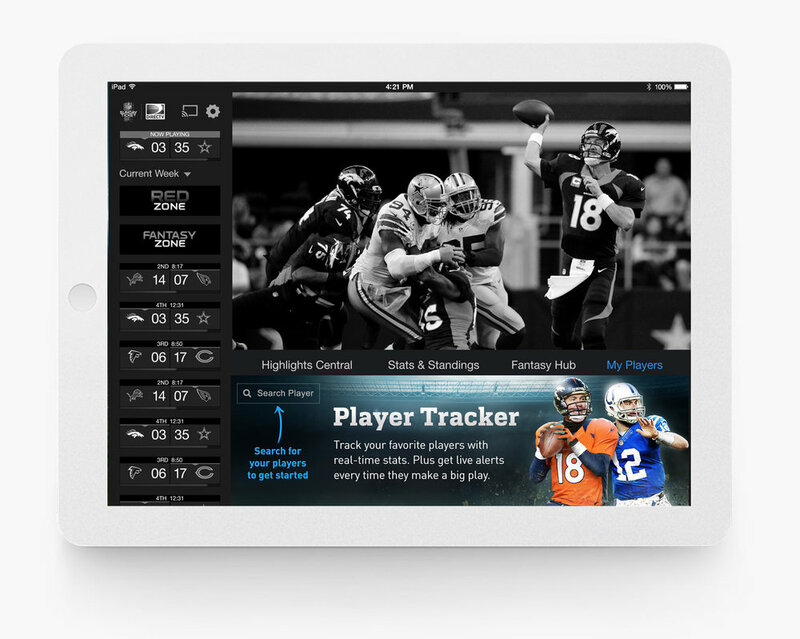 Year after year, I oversaw the team’s initial design for DIRECTV's Set Top Box, iPhone, iPad, and web platforms and then screens were adapted for Android, Windows, Web, Roku, XBox, Playstation, Chromecast, 4K.